Is your auto body repair shop using the best possible business practices? The auto body industry is a price driven market, creating a need for education and consumer safety. 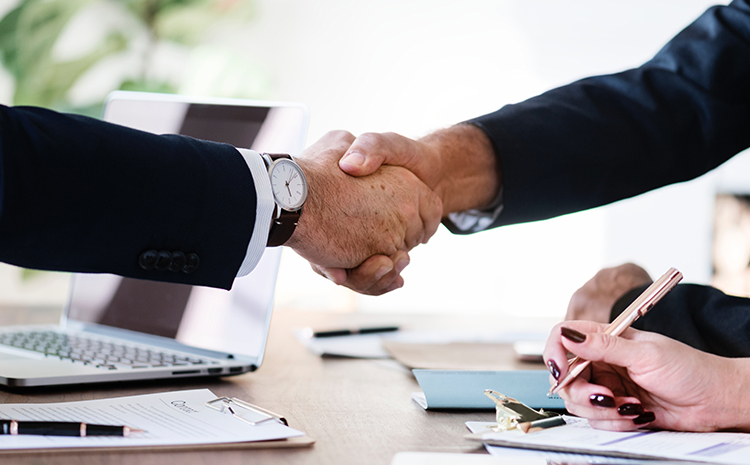 As the Kansas Auto Body Association, we want the auto body industry and our customers to better understand the business and their rights as consumers. 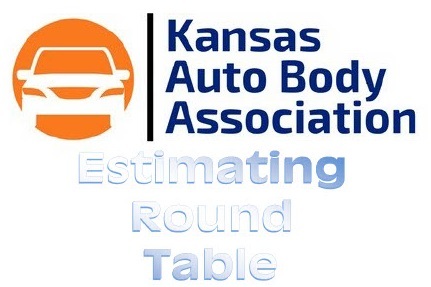 Kansas ABA feels there is strength in numbers and any individual auto body shop, who is in the state of Kansas, has standards to uphold. The more uniform we as auto body repair shops are the better our businesses will be. In this industry, knowledge is power and our job is to share that information so we can streamline procedures and correctly charge our services. It is important to inform the shops and unify them to do proper repairs with the customer in mind. We want to balance what is right for the car and the consumer. This industry is driven by a need for quality, safe business practices. 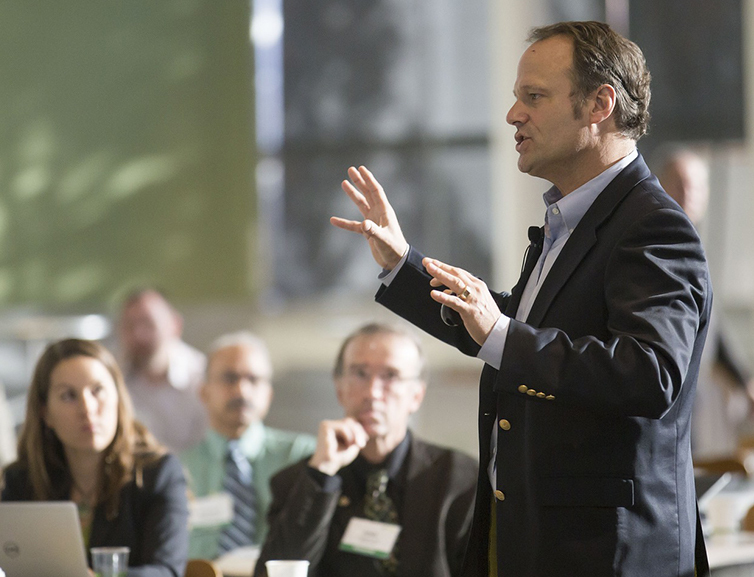 Our job is to set the standard and deliver professional business practices. 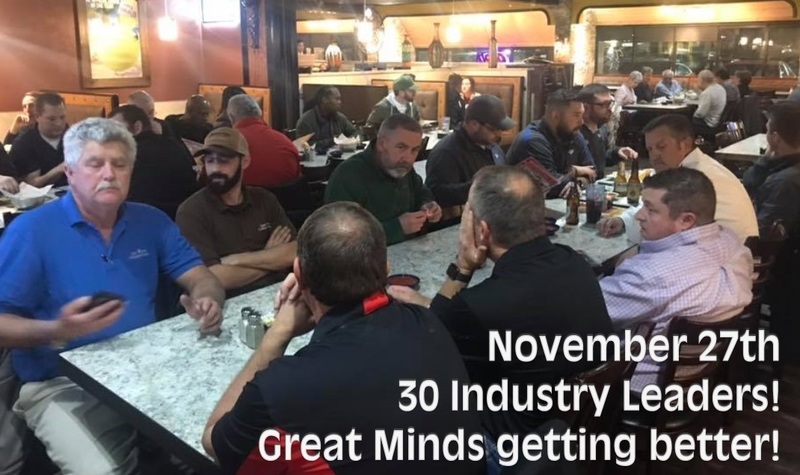 To serve our members and the public of the state of Kansas through leadership, education and initiatives that further uplift the professionalism and business conditions of those engaged in our state’s collision industry for the safety and knowledge of the consumer. 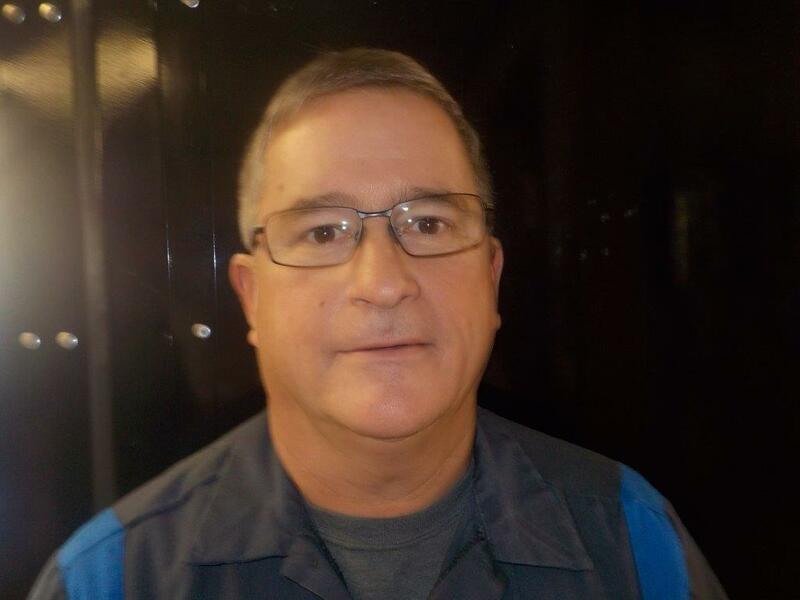 Tony is a collision and mechanical repair shop owner in the Kansas City area. 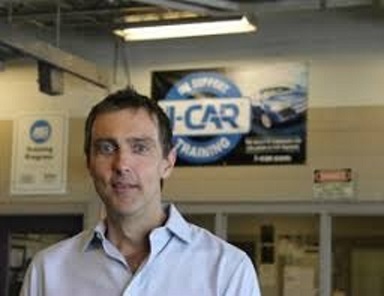 His shop, Weaver’s Auto Center Inc. is an I-Car gold class and PPG Green Belt facility. His culture of employee’s first helps create an environment of teamwork that lets the technicians focus on high quality repairs following OEM repair procedures. Ementi Coary is the Territorial Representative for Mitchell International for Kansas, Nebraska and Iowa. 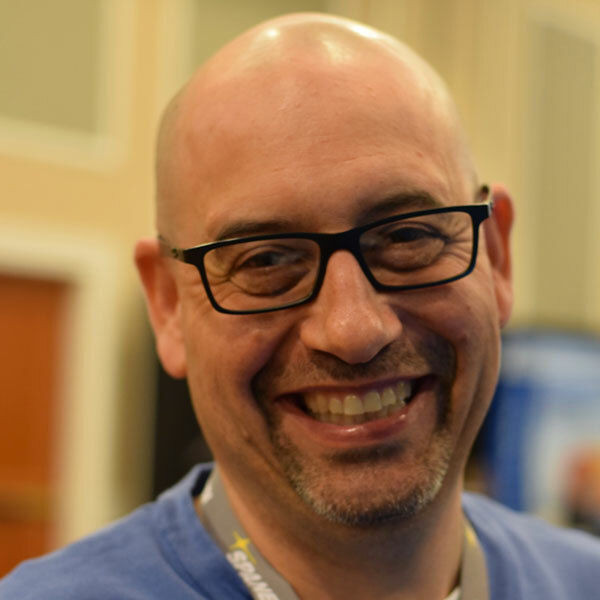 He is on a mission to help change the automotive industry by working closely with the managers to bring safe and proper repairs to them with his company. 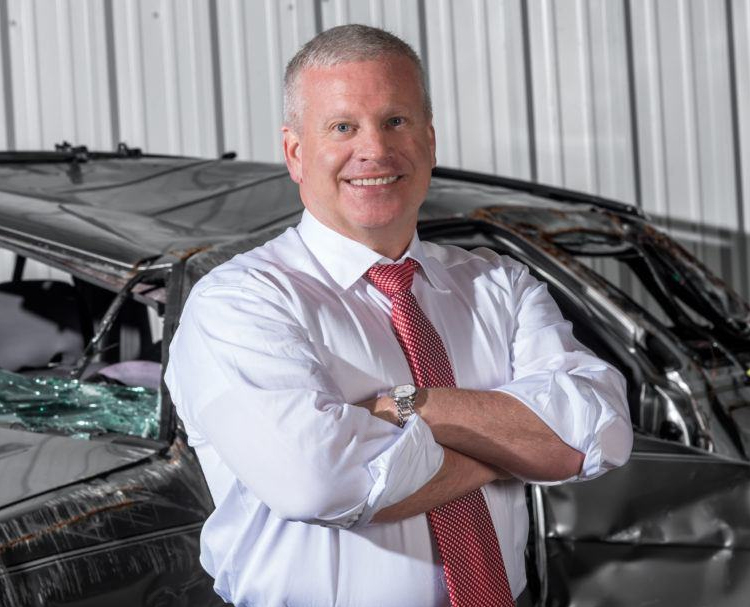 Trained as an estimator and body shop manager, he has over 20 years of communication skills, elegant leadership skills, and business development skills, which provides his customers with unique advantages. 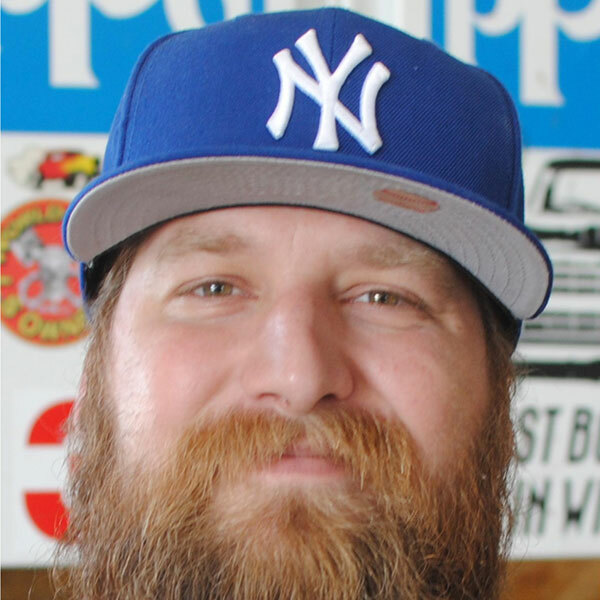 Clay Hoberecht is the owner of Best Body Shop in Wichita, Kansas. When Clay turned 16, his father allocated half of their two-car garage for Clay to pursue his passion for building cars and, in an instant, Clay’s passion and drive for success kicked off to full speed ahead. Over the course of a decade, he worked for and surrounded himself with other well-known and talented shop owners and technicians to absorb as much knowledge as possible. Finally, in May of 2014, Clay made the decision to take on the entrepreneur adventure for himself. Jaime's automotive journey started at age 2 in a small body shop in Oskaloosa KS with her dad. At 16 she got a job at a mechanical shop doing odd jobs. From there Jamie has had a strong desire to learn all aspects of the automotive industry. 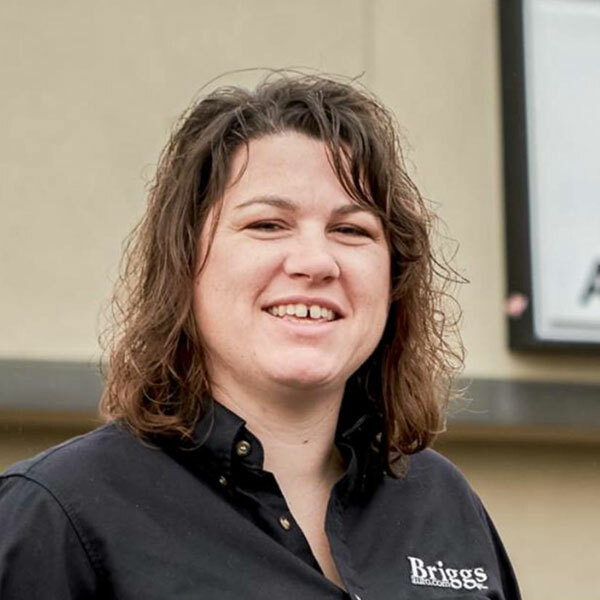 She is currently the manager at Briggs Autobody of Lawrence and has been a loyal employee of Briggs Auto group for close to 6 years. During those years she has grown in her knowledge and networking in the collision industry while striving to create a positive work environment and oversee quality collision repairs. 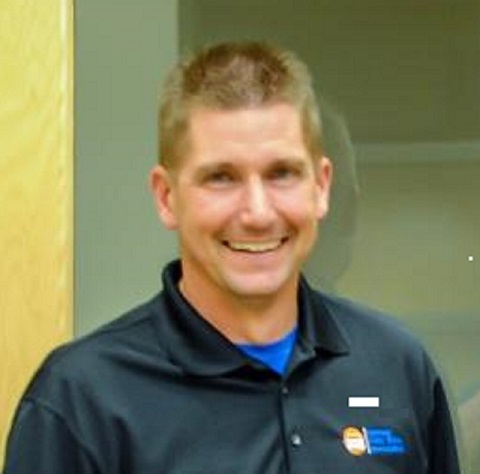 Jeff Oldenettel started in the Collision industry in 1998 as a detailer with a new car multi-line franchisee in Wichita, KS. From there his growth in both skills and responsibility has all been focused within the field of collision services. 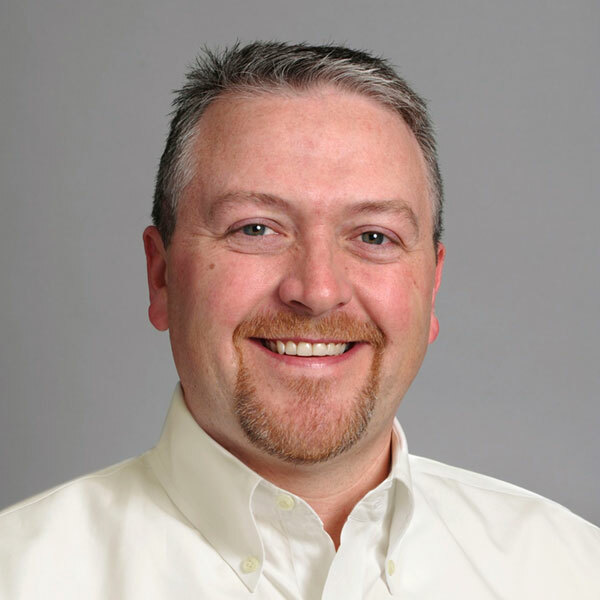 He oversaw production at Cameron Body Shop, Auto Masters, and Eddy's all of Wichita. Since his time with Brandon Steven Motors (Eddy's) Jeff has developed the facility and taken on an additional location in 2015. He has been ICAR trained since 2004 and has Manufacturer training back into the late 1990's. He volunteers with Skills USA for the state of Kansas and co-chaired the contest in 2018. Starting in the auto body repair business in 1978, Brad began as a body tech at New Look Body Shop in 1978. He worked for this family-run business in northwest Kansas until 1991 when he purchased the company. New Look is a PPG certified facility with I-CAR trained technicians. Brad has served on the advisory board for Northwest Kansas Technical College for many years and continues today. 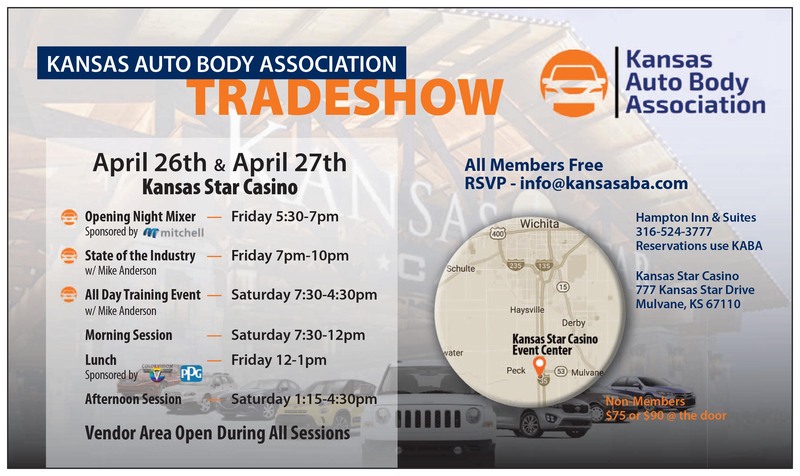 Why Join the Kansas Auto Body Association? KABA wants your auto body repair shop to gain valuable industry information and knowledge to run a uniform repair shop with high quality repairs, standards and safety. Texas Attorney who won a lawsuit due to improper body shop repairs. 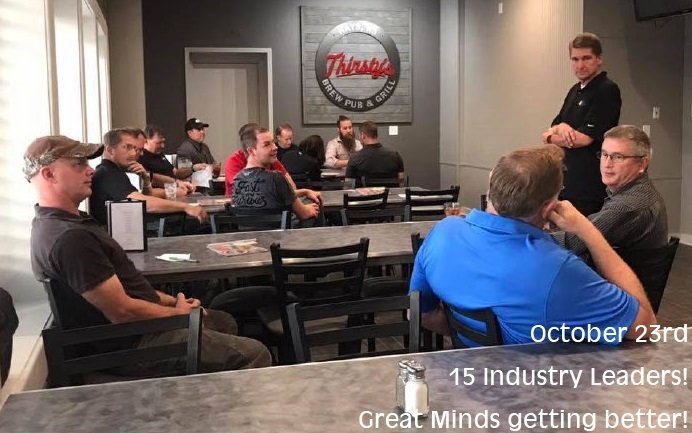 $42 Million Reasons every shop owner and technician should attend. Don't miss these events. Join Now. 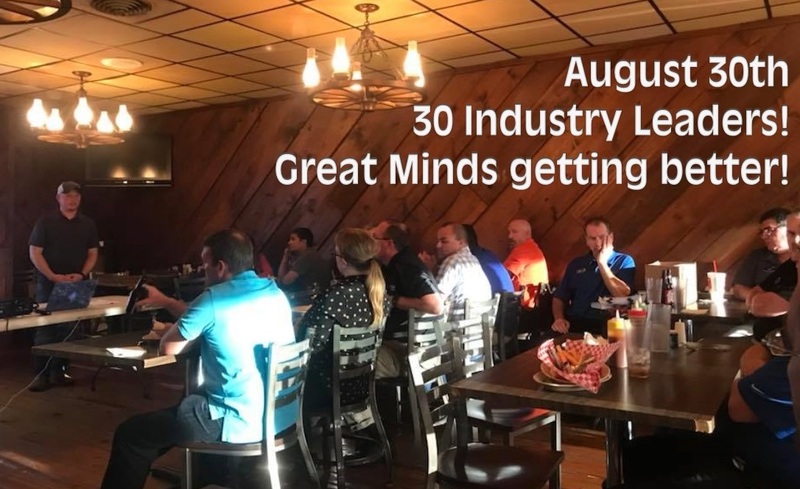 Jake Aufenkamp, James Rodis, Wayne Krause, Chris Norris, your KABA Board all day to help you achieve more in your business. Don't miss this free day of education. Join now!